We've all been there. Right before a big event and you find yourself struggling in front of the mirror, trying to put on false eyelashes and getting glue everywhere instead. Former photographer and hair and makeup artist Laura Hunter was in the same boat. After struggling with fake lashes on herself and clients and when magnetic eyelashes didn’t live up to the hype, Hunter decided to invent The Lash Liner System. The Lash Liner System claims to be the world’s first patent-pending magnetic eyeliner designed to make putting on fake eyelashes easier for those who aren't beauty gurus. The Lash Liner System comes with magnetic eyeliner and a set of magnetic eyelashes. Instead of having to use glue or two sets of magnetic lashes, the lashes adhere to a magnetic eyeliner. 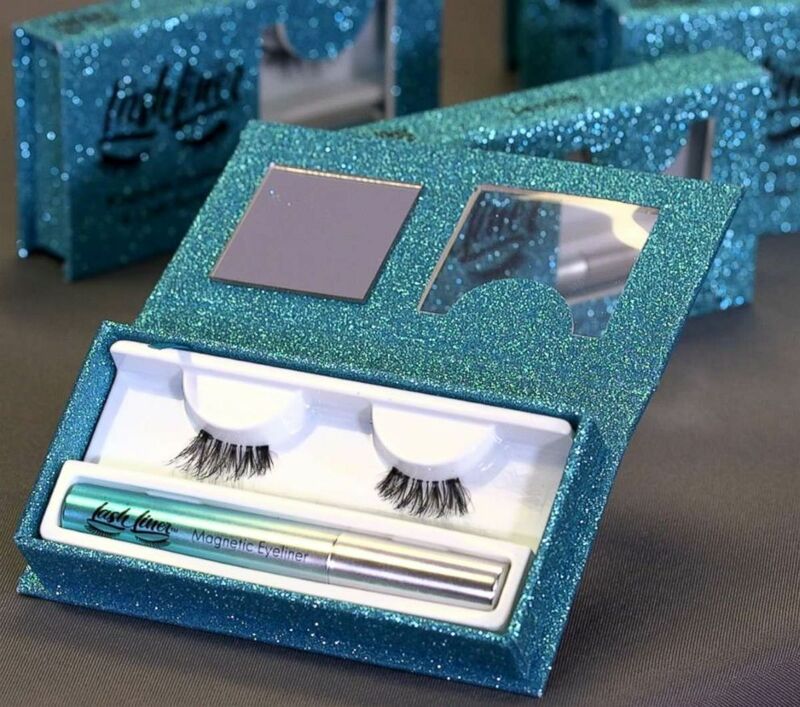 The system comes with magnetic eyeliner and a set of magnetic eyelashes that snaps onto the liner. "Our lash system is perfect for any woman who has ever had trouble putting lashes on," Hunter told "GMA." "The Lash Liner system is a magnetic eyeliner system that incorporates eyeliner that is magnetic and lashes that have magnets on them to make it super easy and comfortable to put on fake lashes." Our lash system is perfect for any woman who has ever had trouble putting lashes on. Laura Hunter is the founder of The Lash Liner System. Hunter launched a Kickstarter campaign in July to get her product off the ground and started shipping products just four months later. "Within about two weeks of shipping we ran out of all the stock that we had for the Kickstarter," she said. Within about two weeks of shipping we ran out of all the stock that we had for the Kickstarter. The system, which costs $65, comes with magnetic eyeliner and a set of magnetic eyelashes that snaps onto the liner. It retails at a more expensive price point than other magnetic eyelashes like Ardell’s, which sell for $6.99 at major retailers, but is part of a blossoming beauty trend. 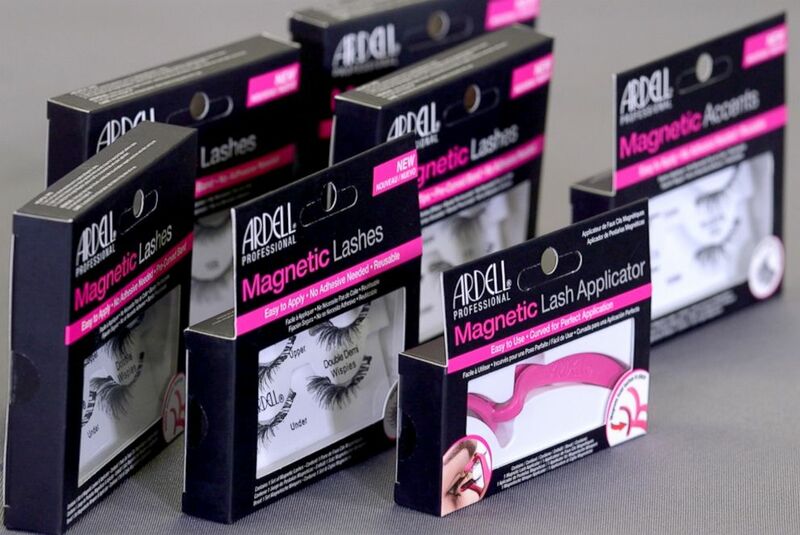 Ardell magnetic eyelashes with a magnetic lash applicator. "Magnetic eyelashes and eyeliner have become a big trend on the market and seem to be a convenient (and mess free) option for consumers," celebrity makeup artist Neil Scibelli told "Good Morning America." Hunter said her product is different from other magnetic eyelashes on the market "because instead of glue or two magnets together, you just put on your liner and then your lash." It’s also a great product for people who experience hair loss, she said. "There’s not a problem with losing lashes because you don’t actually touch anything to your lashes," she said. There’s not a problem with losing lashes because you don’t actually touch anything to your lashes. The Lash Liner System is reusable up to 30 times and the liner lasts a year, giving you anywhere from 30 to 100 uses depending on how often you use it. Like any new product, practice makes perfect. Hunter shared some tricks with us to get the best results when putting on lashes. She said to make sure the eyeliner is sticky when you attach the lash and not wet. Once you test the liner, "you just put the inner corner on first and just lay it across," Hunter explained. Another tip is to make sure you have a good mirror so you can see the liner and lashes close up. When we tried out the product out we used the simplehuman Sensor Mirror Trio, which allows you to see super close up and lights up as your approach it. Removing the eyelashes is easy, you just pull them right off. The eyeliner is a little trickier since it is a smudge proof and waterproof liner. You’ll have to use a remover to get it off. +Planning on traveling in 2019? Here’s 11 items to make your trip go smoothly.